R.J. McClellan, Inc., Our Story. R.J. McClellan, Inc. is one of those companies that started out as one thing and evolved into another. In 1992 the company started as an independent sales company by Ron McClellan working within the automotive industry. While researching where he should spend his advertising dollars, Ron started checking with the customers he was calling on to find what publications they liked to read. What Ron discovered was that the publications out there didn't give the readers what they wanted. In the end, he started his own publication, The Auto Body Journal, for the body/collision repair industry in the five state region of Minnesota, Wisconsin, Iowa, North and South Dakota. 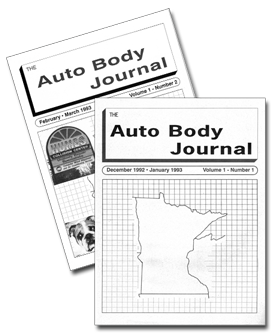 Six months later The Auto Repair Journal was started for the automotive service/mechanical repair in Minnesota, Wisconsin and North Dakota. The company is now in its 19th year of publishing. However, the story doesn't end there. In mid 2002 the Automotive Recyclers of Minnesota asked if R.J. McClellan, Inc. would be interested in publishing the association's bi-monthly newsletter, The Minnesota Recycler. We agreed and found the newsletter to fit in very well with our other publications. In the fall of 2007 the Iowa Automotive Recyclers asked if R.J. McClellan would like to publish a newsletter for their association as well. The first issue of the Iowa Automotive Recyclers News mailed in December of 2007. In 2009, R.J. McClellan added newsletters supporting automotive recyclers in three additional states. The CARS News started in February 2009 for the Concerned Automotive Recyclers of Wisconsin. The ATRI News mailed for the first time in April 2009 for the Auto & Truck Recyclers of Illinois. 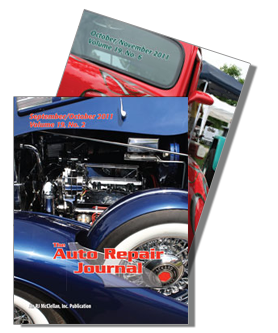 In September 2009, the first issue of the ARI News serving the Automotive Recyclers of Indiana was published. In spring 2011, R.J. McClellan was pleased to announce the addition of two more newsletters added to their publication line up. The Texas Automotive Recycling Report in March 2011 and the Missouri Automotive Recyclers News in April 2011. More are expected soon. Ron McClellan, the president of R.J. McClellan is semi-retired and now focuses on just the marketing for the company. Sheila Cain, the vice president of R.J. McClellan, Inc. now oversees the operation of the business. "Our company has grown more in the last two years with Ron out of the office and focusing his efforts on sales and marketing," says Sheila. Ron is fond of saying that now he can work ON his business instead of IN his business. R.J. McClellan offers full ad design services. Layout charges are waived with a 1-Year/Six issue contract. Two designers handle the ad design work as well as the layout of all of their publications. "We believe that the automotive recycling newsletters have fit nicely into our publishing efforts and utilize more of our resources. We can support the auto recycler associations and it has allowed us to branch out into another part of the automotive industry." Sheila also added, "We enjoy doing the newsletters and are looking forward to finding more niches for our publishing business. Solely the advertising they contain supports all of our publications. "The readers of the journals have repeatedly told us that The Auto Body Journal and The Auto Repair Journal are the resource they use to find the parts, equipment and services they need," says Ron McClellan. It is also our hope that the readers of the newsletters will support the advertisers as they support the associations. If you are interested in placing an add in any of our publications, please feel free to contact us. Copyright © 2011 R.J. McClellan, Inc.